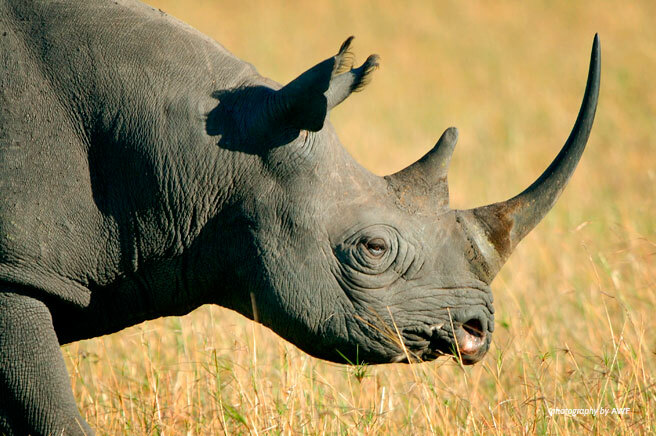 A message from African Wildlife Foundation President Kaddu Kiwe Sebunya on South Africa’s decision not to submit a proposal to legalize rhino horn trade at this year’s CITES meeting. On behalf of the African Wildlife Foundation, I commend the South African government on its decision to not submit a proposal at the upcoming CITES meeting that would have proposed the legalization of rhino horn trade. This was the absolute right decision for Africa’s rhinos. Though we are in desperate times, now is not the time to test out dangerous trade experiments and gamble with the survival of a species. It is highly unlikely that such a controversial measure would have ever passed. Moreover, the ivory industry demonstrates the complications in trying to regulate a legal trade in an endangered species whose parts are in high demand. For the past 20 years there has been an on-going trade experiment with ivory to see if a stable and sustainable market could be established. The results of that experiment can be seen today, as elephant poaching levels are higher than ever and the trade in illegal ivory flourishes. With far fewer rhinos than elephants on the continent, Africa’s rhinos cannot afford such an experiment. As we continue to work together to halt rhino poaching in Africa, I am confident we will break the back of this crisis sooner rather than later. AWF has long supported reserves with critical rhino populations across Africa, including South Africa, and we are also working with partners like WildAid to reduce demand for rhino horn in countries such as Vietnam and China. There are small but positive signs that we are moving in the right direction. At the same time, we all see the areas that remain persistent weak points and know we must address those head on. Now, with South Africa’s decision to shelve this divisive proposal, we can address those weak points and the crisis as a unified conservation body.